Tillman Auditorium was originally built in 1891. 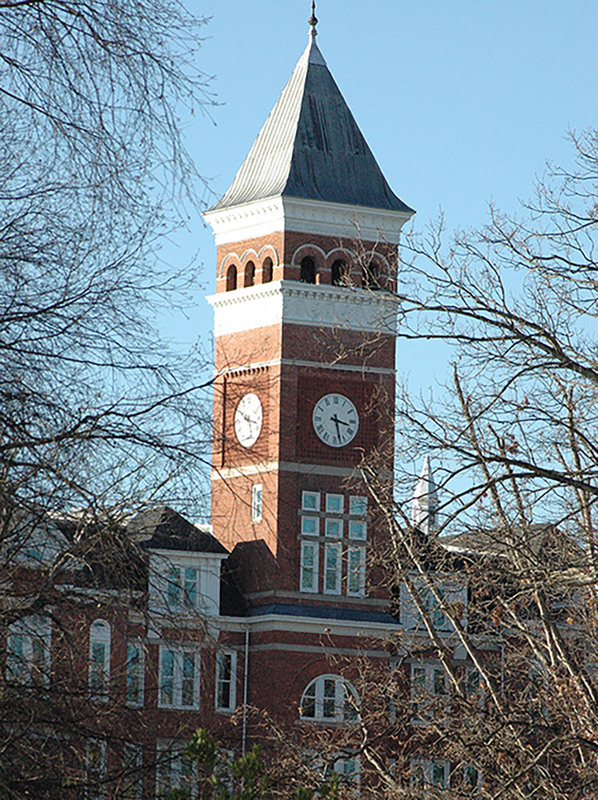 Clemson University’s iconic landmark is known for the clock tower located above Tillman Hall which contains the Carillon, a full set of 48 handcrafted bells. When facing Tillman Hall, the auditorium is on your right. Memorial Auditorium (At Tillman) is used primarily for lectures and seminars, small concerts, pageants and dances. Recent updates to the state-of-the-art soundboard, light system and projector which was originally installed in 2007, makes this the perfect venue for all your technological needs. Surrounding the auditorium are dressing rooms and spacious lobby areas for pre-and post-event activities. Memorial Auditorium (at Tillman) might just be the perfect place to hold your next corporate seminar, small concert or a variety of other unique and memorable events. While its full capacity is 840, the auditorium offers 755 seats with full visibility to the stage. Memorial Auditorium (at Tillman) overlooks the beautiful Military Heritage Plaza, Bowman Field and Carillon Gardens. We encourage you to place reservation requests as far in advance as possible. We accept requests up to one year in advance.